A sprained ankle is one of the most common musculoskeletal injuries in sports. Whether it occurs while running, jumping, landing or pivoting, it almost always involves a “rolling” of the ankle. Although ankle injuries are common, recovery time varies for each athlete. To help you speed up your recovery time, we’re exploring how an ankle injury occurs, recovery techniques and prevention tips. The most common ankle injury is a lateral ankle sprain, which involves inverting or rolling the foot inward. Other less common types of ankle sprain include a syndesmotic (high) and medial ankle sprains. Females are found to be at almost twice the risk of males for ankle injury, and children tend to have a higher incidence of ankle sprain compared to adolescents and adults. 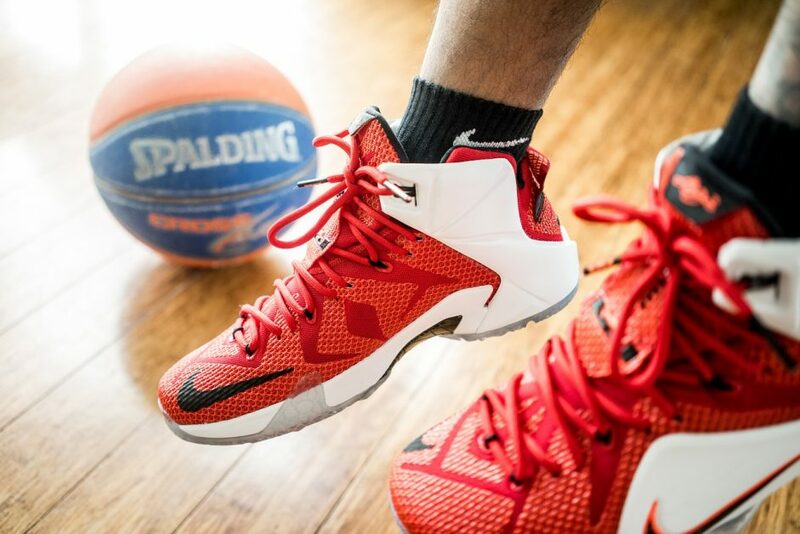 Additionally, ankle sprains occur most frequently in indoor/court sports, such as basketball or volleyball. The ankle anatomy is made up of three lateral ligaments that attach the lower leg to the foot (the anterior talofibular ligament, calcaneofibular ligament and posterior talofibular ligament). Lateral, or inversion, ankle sprains occur most often when stepping laterally or onto an uneven surface. When an athlete’s ankle rolls inward, it stretches these ligaments, and in severe cases, can even result in a torn ligament. In addition, the peroneal muscles are found along the outer lower leg, ankle and foot. These muscles help turn the foot outward. When a lateral ankle sprain occurs, these muscles are rapidly stretched and can result in an ankle strain in addition to an ankle sprain. The recovery timeframe for an ankle sprain depends on the severity of the injury. Most ankle sprains involve swelling and bruising along the outer ankle and take approximately 6-8 weeks to fully rehabilitate. A more severe ankle injury may take up to 12 weeks or longer to heal completely. At 5280 Cryo & Recovery Clinics, we use specific clinical protocols to reduce this rehabilitation timeframe to 3-4 weeks. In the initial recovery stages, the primary concern is reducing swelling and bruising and keeping the ankle as mobile as possible. We often recommend at-home icing, or for more severe ankle injury, Whole Body Cryotherapy (WBC), which can help to significantly reducing swelling, inflammation and pain. Common practice used to immobilize and reduce weight-bearing for all sprained ankles using a splint, boot, cast or brace. However, it has been found that immobilizing sprained ankles may cause decreased range of motion, restricted joint movement, atrophy (shrinking) of the muscles and ultimately slow the rehabilitation process. Rather, many physicians have started implementing more progressive rehabilitation strategies, using ankle mobilization therapies to retain a full range of motion. After the initial stage of injury has been effectively managed, it is important to treat the subacute stage, in which scar tissue is actively being formed within the injured tissues. At 5280 Cryo & Recovery Clinic, we use specific soft tissue manipulation techniques to remove scar tissue and mobilize the injured tissue. This returns full function to the ligaments and muscles of the injured ankle. The final ankle injury recovery stage involves rehabilitation exercises to re-strengthen the ankle and help prevent future ankle sprains and re-injury. Once the ankle has healed, we use prevention strategies, including neuromuscular training and external prophylactic (tape or brace) measures to avoid future injury. The best course of action often includes a combination of these techniques. Research shows that taping, bracing and neuromuscular training reduce ankle sprain recurrence by approximately 50 percent. Have you recently suffered from an ankle sprain or want to learn more about 5280’s ankle injury treatment? Call or stop by any of our four locations today to reduce your recovery time! ©2018 5280 CRYO RECOVERY CLINIC - Do not copy mockup. All rights reserved.